OutSystems, provider of the number one platform for low-code rapid application development has recognized Persistent Systems as a Global Partner, its highest partnership level. Persistent, a global leader in software and technology development, and OutSystems have strengthened their strategic alliance to make it easier for customers to launch products and service lines, transform customer experience, and automate business processes. With this strategic partnership, organizations can better harness the benefits of digital transformation to become faster, more efficient, and software driven. The OutSystems and Persistent collaborative relationship began over a year ago, developing various solutions for firms in financial services, healthcare, and agriculture. The companies are integrating efforts in sales, alliances, solution architecture, professional services, and vertical solutions. Initial markets and industries of focus for the partnership include customers in the healthcare, financial services, insurance, government, and education verticals. Persistent recently developed a robot leveraging AI and blockchain, all powered by the OutSystems award-winning low-code platform. “In today’s world, business requirements change fast and users expect an immediate impact,” said Sudhir Kulkarni, President at Persistent Systems. “Organizations cannot wait for months and years to solve competitive problems. This alliance with OutSystems helps us to deliver solutions to the market at unprecedented speed and in an agile manner helping enterprises to work at the speed and scale that a full digital transformation requires." Watch Bob Wilson discuss becoming software driven with low-code. Read about Persistent Systems capabilities with OutSystems. 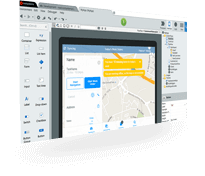 Learn about the OutSystems mobile app for disaster recovery. 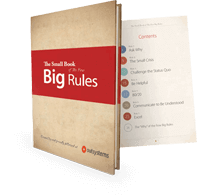 For more information on the OutSystems platform for pitchbook generation, click here. About Software 4.0 - Digital is being software-driven in business. Digital transformations are continuous by design and in method. One-time digital fixes don’t stay current for long. Software-driven transformations must be continuous to keep up with new and emerging technologies waves. Software 4.0 is about mastering the “How” of a software-driven business and inspires how Persistent works with customers on their digital transformation programs. About Persistent Systems - Persistent Systems (BSE & NSE: PERSISTENT) builds software that drives the business of our customers; serving software product companies and enterprises with software at the core of their digital transformation.